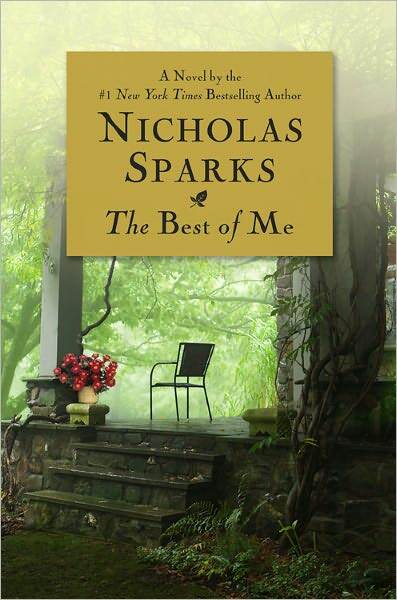 I have been blogging about this movie for months and finally there are more details coming out about Nicholas Sparks’ The Best of Me, the latest flick that is coming to Wilmywood! Michelle Monaghan will star taking on the role of “Amanda Collier” and once was what a rumor is now a fact, Michael Hoffman will direct the film. The flick will follow a pair of former high school sweethearts who reunite after many years when they both return to their small North Carolina hometown. The novel was released back in March. Nicholas Sparks is producing along with Ryan Kavanaugh and the much loved Denise Di Novi. Theresa Park is co-producing. J. Mills Goodloe and Will Fetters penned the script. They are planning a release date of October 17, 2014. While they are not giving a date on when offices will open, I am thinking it will have to be between now and late January. Pure speculation however, but it will take about 5 weeks of prep and about 30 days of production. They will need the crew base. The Squeeze wraps this week, Sleepy Hollow in mid-December, so that will open some 200 crew members ready to move to the next project. But with Under the Dome returning – office staff in January and crew in February, they better get going on this project. Bolden! begins their test shoots today at Screen Gems. Yes, the movie that was shot here nearly 6 years ago. They are back in action! Still no word on who will replace Anthony Mackie as the lead role of Bolden however. They are hoping to begin full production in March or April of 2014. More Rumors are swirling about Wilkesboro, NC native Zach Galifianakis replacing Jim Carrey in Jared Hess’s comedy Loomis Fargo with Owen Wilson as his sidekick. The last time that Galifianakis and Wilson worked together was on another NC shot movie, You Are Here, in Winston-Salem and the surrounding areas. The action/comedy is based on true events that happened in Charlotte, and the two will play inexperienced criminals who rob a bank – leaving a trail of evidence behind. With that being said, we don’t know if they will be shooting in Wilmington as originally planned, or will share the love throughout the state. They are looking at a start up date tentatively in March 2014. And speaking of start-up dates. New rumors from the Lot are swirling about Sleepy Hollow Season Two production returning as soon as February. And possibly before Under the Dome (which comes out on DVD/Blu Ray tomorrow) begins. This is strictly rumor, but it was something that I have heard from multiple sources. FINALLY! Sleepy Hollow returns tonight! After the longest hiatus we can now sit on the edge of our seats again ready for Ichabod and Abbie and good old Headless to cross our screen! Here’s a preview for tonight’s episode! Or if you just can’t wait and missed yesterday’s blog, watch the first 8 minutes, an extended scene from tonight’s episode. WATCH NOW! More casting news has come in. David Fonteno has joined the Sleepy crew. The actor, who played Judge Robert Parks in The Good Wife, is becoming more devout and will return to the small screen as a Catholic priest named Reverend Boland. It seems as though this reverent man has been somewhat of a role model to Captain Frank Irving (Orlando Jones) for a long time. The Reverend will make his debut on episode 9 (airing November 25th) as well as our beloved Rue, Amandla Stenberg. Are you looking for some of the best movies to come out of Wilmywood? Check out what’s available in the Wilmywood Shop powered by Amazon.com Buying from the Wilmywood Shops helps me keep this blog going!